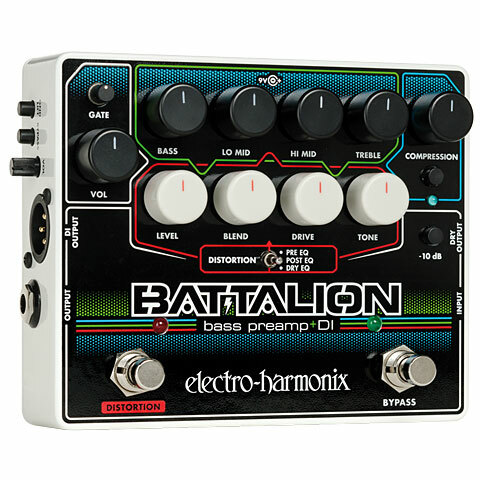 The Battalion pedal from Electro Harmonix is the "all-round carefree package" for bassists. 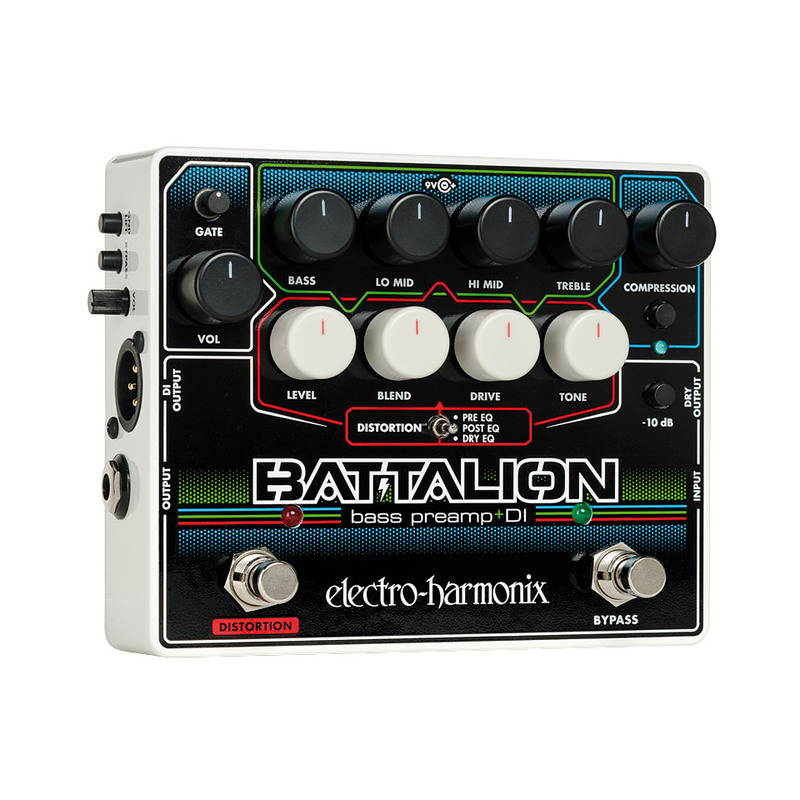 In the ultra-sturdy pedal you can find everything you need: a preamp with 4 Band eq, a Compressor, a noise gate, a bass overdrive/distortion and a high-quality DI box. The Overdrive section can be switched either before or after the EQ, or in Dry mode directly behind the Compressor without EQ. The direct signal can be mixed. A pragmatic, effective tool for live or recording use. 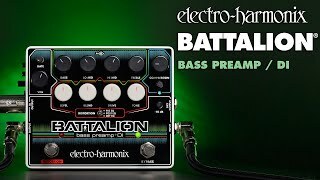 · Show all articles of the brand Electro Harmonix.